The Bayliss-Bower Vineyard is part of the family's 234-acre section of land in the Yamhill-Carlton AVA. The first vines were planted in 1999. Currently, all 15 acres of vines are Pinot Noir of the Pommard, Wadenswil, and Dijon, 777, 114, and 115 clones. The vineyard has been managed by Buddy Beck of Advanced Vineyard Systems, Inc. from the beginning. 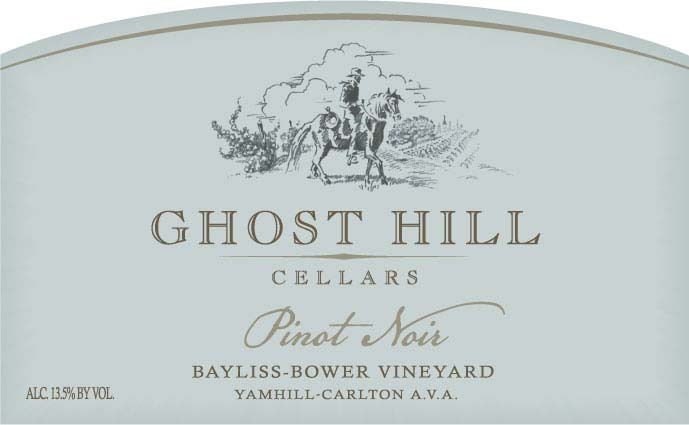 One hundred percent of the fruit used to produce the wines for Ghost Hill Cellars comes from the estate vineyard. We also sell fruit to a number of noted Willamette Valley wineries including Eric Hammacher, Scott Paul, Fox Farms and more. Ghost Hill Cellars is LIVE (Low Input Vineyard and Enology) certified. LIVE is an internationally recognized standard for sustainable viticulture practices in wine grape production. Ghost Hill Cellars is also SALMON-SAFE, dedicated to restoring and maintaining healthy watersheds. We produce all of our wines in Carlton, Oregon at the Scott Paul facility.